Wednesday 2nd April 2014, 6:30 pm. Speaker: Professor Liz Bacon, President of the BCS. As the demand for online education grows, both in distance mode, and in support of face-to-face delivery, learners expect technology to support their learning. However, most learners, having been taught using 19th century teaching techniques, are ill-prepared for 21st century online learning and the success rates of online learners are often very poor. This talk will discuss some of the critical factors for successful online learning from both from the learner and educator perspectives. It will also discuss how technological and pedagogical changes are expected to transform online education in the future. 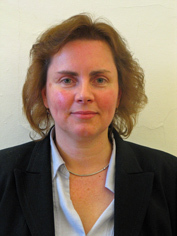 Professor Liz Bacon BSc, PhD, CEng, CSci, FBCS, CITP, FHEA, is a Deputy Pro-Vice-Chancellor at the University of Greenwich with a University wide remit for Technology Enhanced Learning. She is currently Deputy President of the BCS (President from March 2014), Chair of the BCS Academy of Computing, and a past Chair of CPHC (Council of Professors and Heads of Computing) national committee. She is / has been involved in many professional activities during her career which include working with e-skills UK, the Science Council, Parliamentary IT Committee (PITCOM) and EQANIE (European Quality Assurance Network for Informatics Education). Prof Bacon is a Co-Director of the eCentre research group and has been involved in eLearning, software engineering, and crisis management research for more than 10 years. She is an experienced systems designer and developer, with the bulk of her research and practice activity being directly industry facing, through knowledge transfer and consultancy.